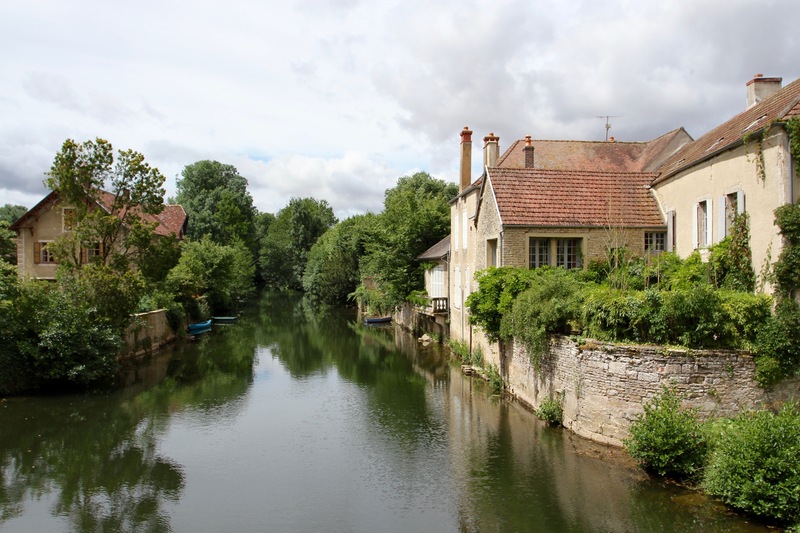 It’s with good reason that Noyers-sur-Serein has been officially recognised as one of the most beautiful villages in France. Sitting in a bend of the slow moving River Serein, the village is as picture-postcard-perfect as any I’ve ever seen. 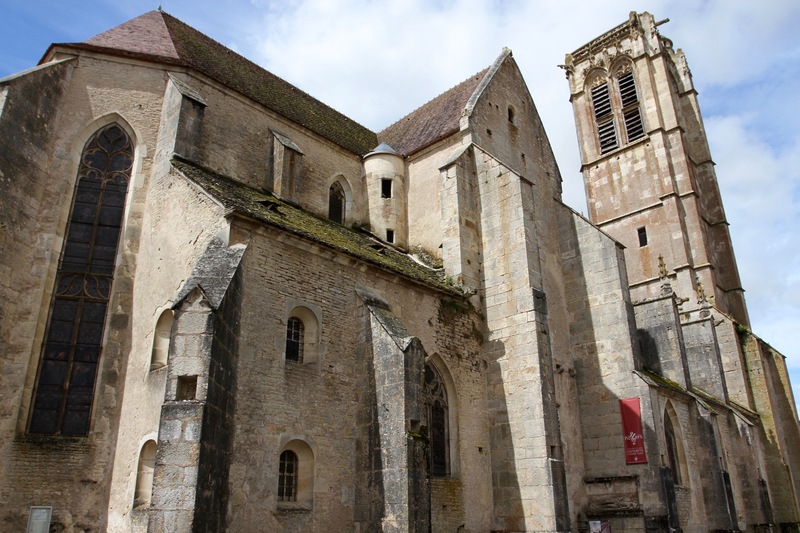 It retains many of its original medieval buildings, the cobbled streets running past half-timbered houses; once formidable walls, ramparts, town gates and defensive towers silently look out over the surrounding countryside; and the Gothic belfry of the 15th century L’Église Notre-Dame dominates the skyline. 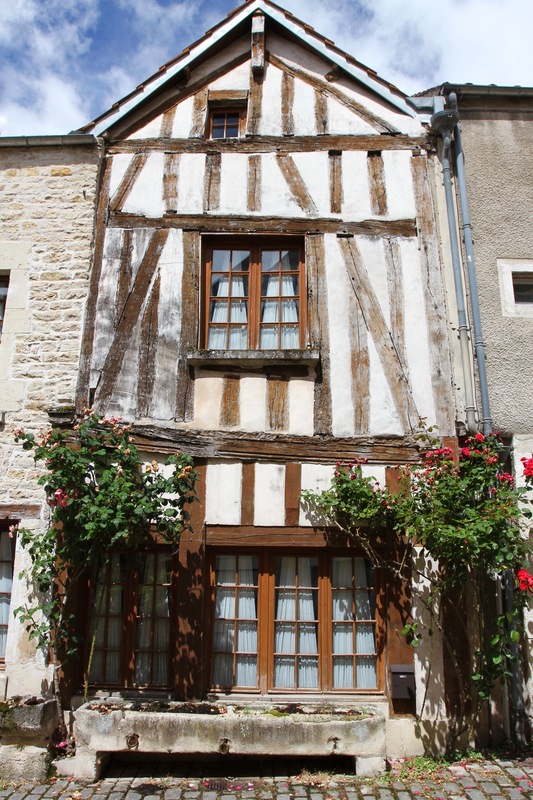 There’s no doubt that tourism is making its presence felt in Noyers, but the village feels authentic and has lots of charm. Many houses are decorated with plants and flowers, adding a riot of colour to the streets, some of which are pedestrianised. As we walked around, most of the streets were empty of people. Only in the central squares of the village, the lovely Place de la Porte Étape aux Vins and Place du Marché au Blé, did we find any real activity. 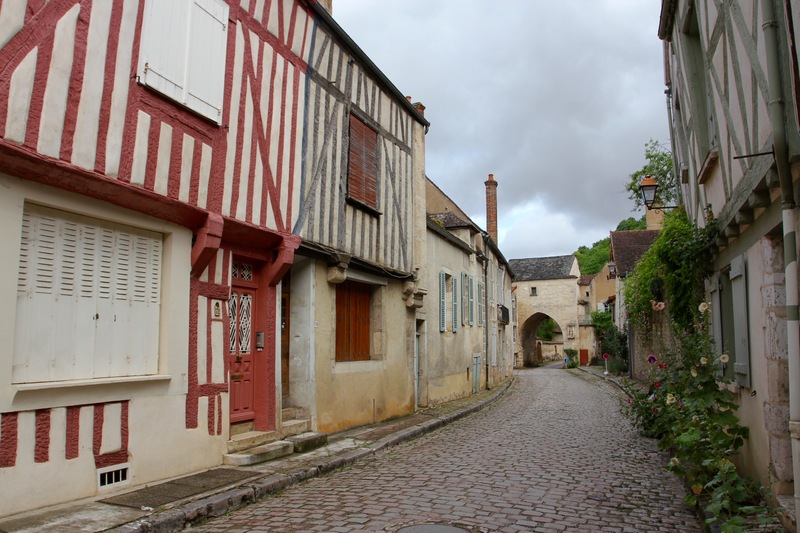 If Noyers is a small, sleepy place today, it wasn’t always so. 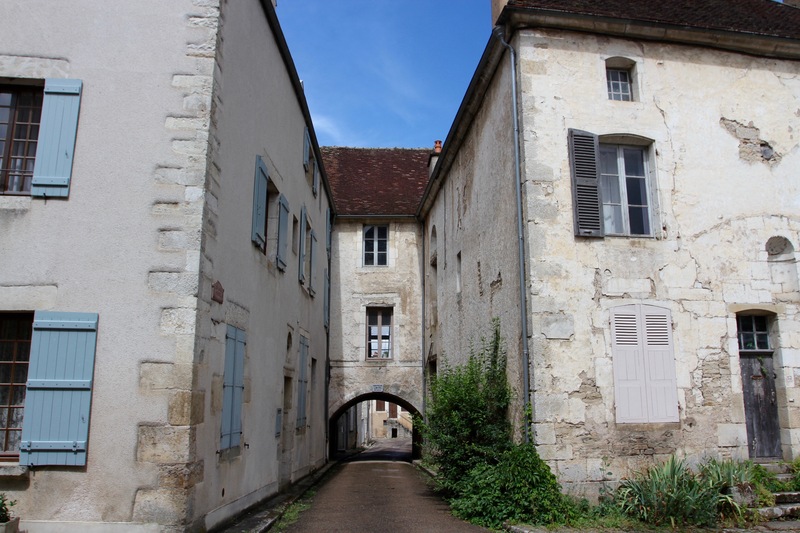 In the 12th century it was the seat of a powerful family led by Miles, Seigneur De Noyers, and was famous for having one of France’s mightiest castles. 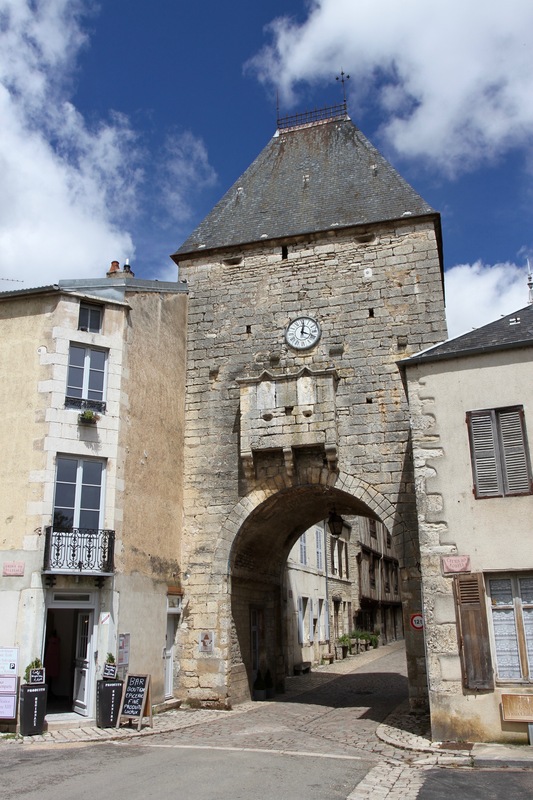 In 1217, the town and castle were under siege from the forces of France’s Spanish Queen, Blanche de Castille. The elaborate defences held out. 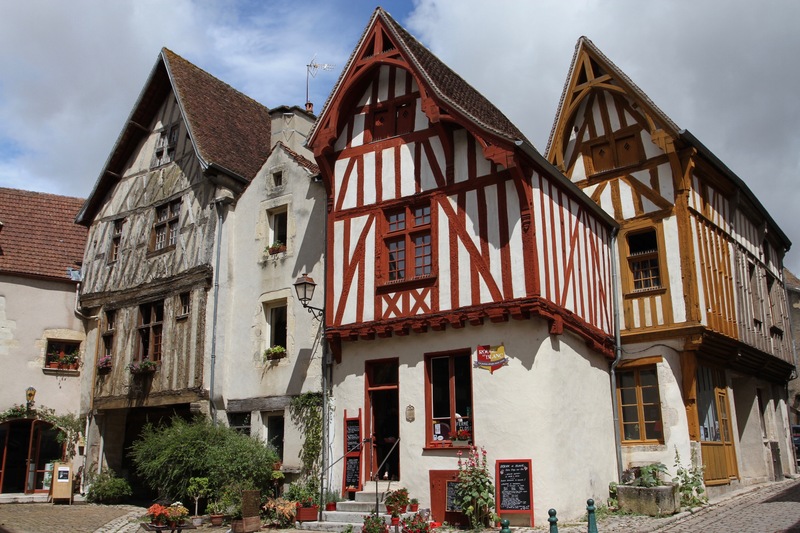 The town survived the ravages of the Hundred Years’ War, by which time it was an important stronghold of the Dukes of Burgundy. The town would not be so lucky during the 16th century Wars of Religion. By then the castle, and town, had passed under the control of Louis de Bourbon, Prince of Condé and Count of Noyers. This was fateful for the town. Louis converted to Protestantism and became a principle leader of the Huguenot faction in the French aristocracy. This put the Bourbons, and Noyers, on a collision course with the Catholic House of Guise, and its feared matriarch, Catherine de’ Medici, the most powerful woman in Europe. Louis was embroiled in the Huguenot-led Conspiracy of Amboise, an attempt in 1560 to abduct Francis II, the first of Catherine de’ Medici’s three sons to become French Kings. War broke out in 1562 and a few years later Louis de Bourbon, Prince of Condé, took refuge in the now predominantly Protestant, Noyers. Besieged by Catherine de’ Medici’s forces, Noyers capitulated. The town’s Huguenots were evicted and the castle destroyed. 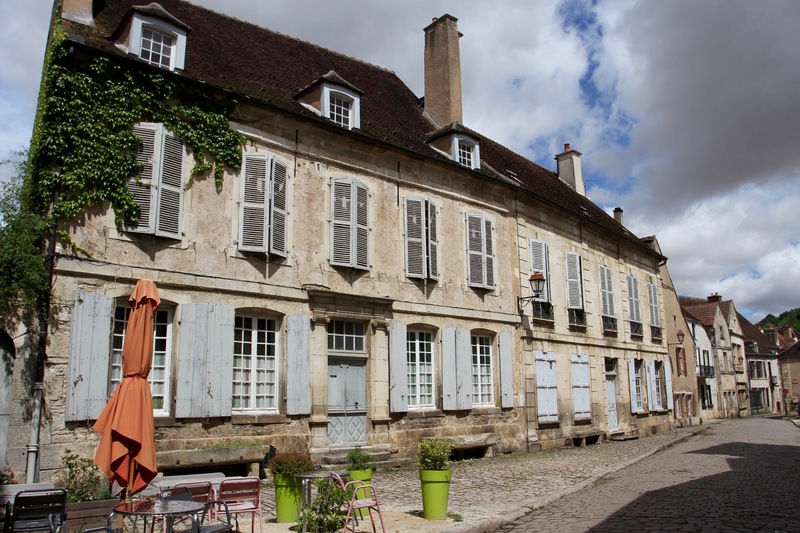 Noyers sank into relative obscurity. That obscurity has meant that the village has retained its medieval essence. Home to around seven hundred people today, it has an impressive seventy-eight registered national monuments. 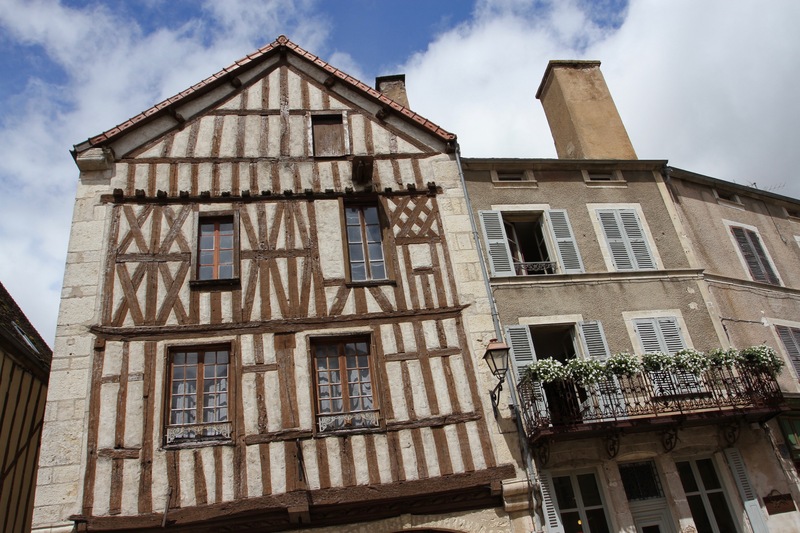 Small and friendly, the town has a couple of good restaurants and an artisanal boulangerie. Not to mention a good butchers, a couple of wine shops and art galleries. You wouldn’t get a similar number or quality of shops in a village this size in Britain or the Netherlands. We’d arrived early, en route to Chablis. 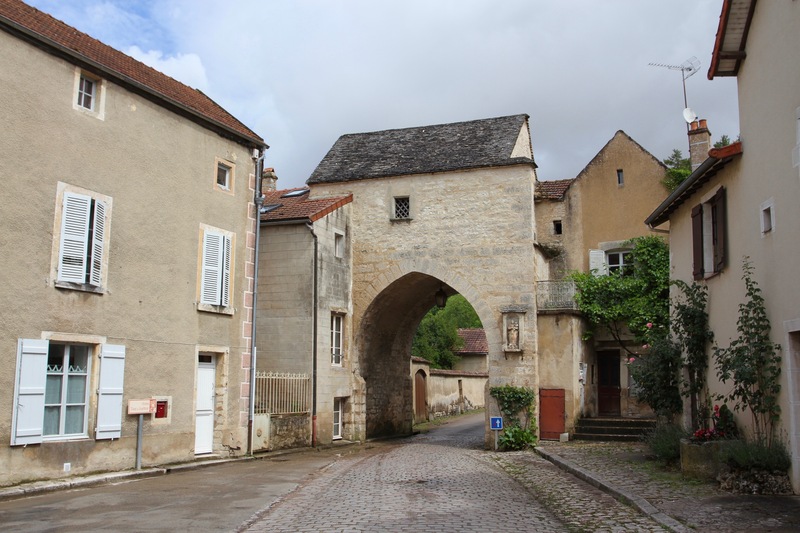 The weather had been wet as we drove through the lush Burgundian countryside, and it was still raining in Noyers. The forecast was for sun, so we decided to while-away some time in a cafe. The sun eventually came out and off we set to explore the rest of the village. 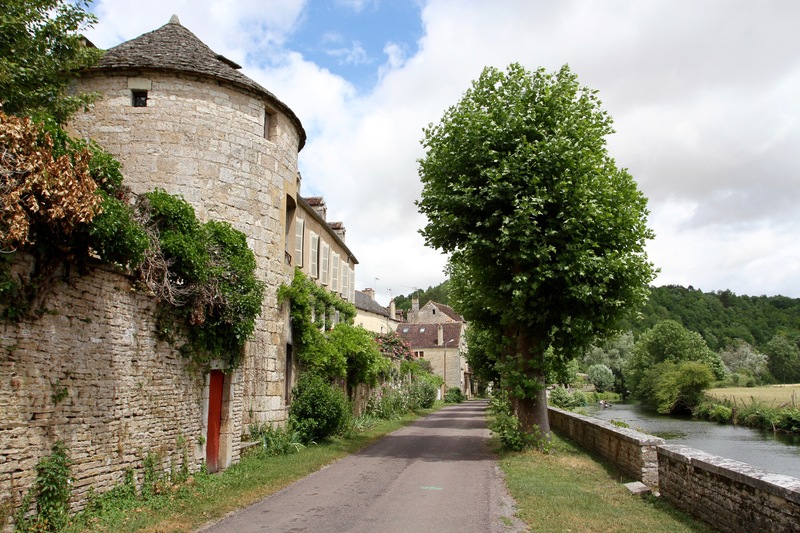 We strolled along the banks of the Serein River next to the old defensive walls, climbing to the top of the village before coming back down through narrow lanes. 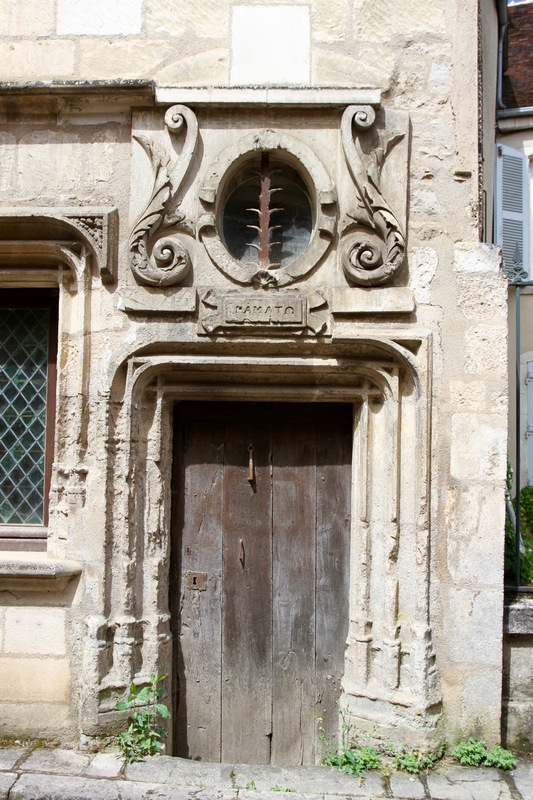 Noyers may not take long to explore, but each step is drenched in history.